Witch hazel is produced from the leaves and bark of the North American Witch-hazel shrub (Hamamelis virginiana). Both witch hazel hydrosol and witch hazel extract are astringent and hydrating. Witch hazel is rich in antioxidants. It is soothing and suggested for minor irritations. I recommend using witch hazel hydrosol or extract as a toner. Witch hazel extract and hydrosol are good for most skin types, especially oily, combination, and normal. Some people with dry skin like witch hazel extract too, but for others, they may find it a touch drying (due to the alcohol content). If you have dry or dehydrated skin, you may want to try the hydrosol (many of my customers with dehydrated or dry skin love witch hazel hydrosol, but others prefer different hydrosols). Witch hazel extract makes a great deodorant too! Herb infused witch hazel extract also has the extra benefits of the herbs infused in it. Some herbs you might like infusing in witch hazel extract are dried roses, chamomile, or lavender. Witch hazel is an amazing ingredient for the skin! I’ve had a couple excellent Eco Living/ DIY Formulating questions asked about crafting with witch hazel, so I hope you enjoy this article and my answers to the questions! Q: I use olive oil and witch hazel to cleanse my skin. Can I add dried teas to my oil or witch hazel or would that cause spoilage? A: You can add dried herbs to either. Just be sure to strain well. However an herb infused oil would be more shelf stable. I would use teas and herbs that are ‘loose?and not bagged (since the bagged kind are often lower quality). You may also want to add an antioxidant like vitamin E or rosemary oil extract to prevent the oils from oxidizing. You could add a preservative, if desired, but many people usually don’t, since oil based products (that contain no water rich ingredients) are not prone to bacterial spoilage. This is not to say oils can’t get contaminated (because they can), they are just less likely too. For witch hazel, once you infuse the herbs in it, shelf life depends on which kind of witch hazel you have. There is the traditional witch hazel extract (made with the distillate, but with 14-15% alcohol added), the pure distillate/hydrosol (usually nothing else added to it, though a few companies may add a preservative or anti-fungal), and also there are some companies that make witch hazel products (a type of witch hazel extract mixed with other ingredients like aloe, glycerine, other herbal extracts, etc. They may or may not contain alcohol. These are not raw ingredients but they are toners or astringents; however, people still refer to them as ‘witch hazel?. Once you infuse the herbs into it, witch hazel with added alcohol or preservatives will have the longest shelf life (usually a few months). If you are not sure which type of witch hazel you have, it is best to refrigerate your herb infused witch hazel, and use it within a few weeks. If making an infusion with witch hazel that contains alcohol or other added ingredients, you may want to do a cold infusion. Infuse the herbs in cold or room temperature witch hazel for at least 8 hours—do not boil or heat the witch hazel--and then strain. In these cases, a cold infusion is best so the alcohol doesn’t evaporate and certain ingredients may be heat sensitive. Please note there does come a point where a liquid becomes over saturated (meaning that the distilled water used to make witch hazel extract/distillate is already infused with witch hazel, and the water may not be able to hold anymore herbal particles). But you should still be able to infuse some herbs into most witch hazel products (many people do double or tripe infusions with no issues). Or you can make an infusion with the herbs and distilled water, and then add the witch hazel. Q: I noticed you said the shelf life of a witch hazel with alcohol in it would only last a few months. If I want to create this for friends and family members as gifts, I want it to last longer than that. Is there anything I could add to it to give it a shelf life of 6 months to a year without having to store it in the fridge? A: Great question! I think to best answer your question, I will go over the shelf lives of all the different ingredients and products (witch hazel hydrosol, witch hazel extract, infusion, herb infused hydrosol, and herb infused witch hazel extract) and then go into some different techniques you can use to extend shelf life. According to aromatherapist and hydrosol expert Suzanne Catty, the shelf life of witch hazel hydrosol (nothing else added, unpreserved) is eight months to a year. She states (in her book: Hydrosols--The Next Aromatherapy) that witch hazel hydrosol is moderately unstable and tends to bloom. So witch hazel hydrosol can last up to a year, or it may go bad very quickly. All hydrosols (aka distillates) are sterile when distilled, but once they are handled, packaged, and used they can get easily contaminated. So hydrosols can have a shelf life of many months to a year or more, or they can go bad in days, depending on how they are stored and handled. When using witch hazel hydrosol, you have to be especially careful since it can easily go bad. Witch hazel extract is usually the hydrosol with 15% alcohol. It has a shelf life of several months to a year or longer. Some companies state the shelf life of witch hazel extract is much longer. But in my experience, once it is opened and handled, I would use it up within a year (because of the shelf life and unstableness of witch hazel hydrosol, and since low amounts of alcohol in cosmetics tend to preserve for only short amounts of time). When you infuse herbs into witch hazel extract, the shelf life is much shorter: only an estimated few months. Sometimes it will go bad faster and sometimes it will stay fresh longer. Shelf life is only an estimate. Refrigeration is recommended since it can greatly extend shelf life. One reason why the shelf life is shorter is because you are basically making an infusion. When you infuse an herb into water, you are essentially making a strong tea. Teas only have a shelf life of maybe a few days, refrigerated. Hydrosols are composed of mostly water plus herbal constitutes, and many are antibacterial to various degrees. So infusing herbs into a hydrosol is kind of like infusing herbs into plain water. However, in my experience, herb infused hydrosols tend to have a much better shelf life than tea! I recommend using herb infused hydrosols within a few weeks, refrigerating them, or adding a preservative for a longer shelf life. Since witch hazel extract contains 15% alcohol, the alcohol will help preserve the herb infused witch hazel extract. I’ve made herb infused witch hazel extract for myself (with no other preservatives aside from the alcohol), and I have had some last only a few months. I’ve had some go bad sooner. And other batches have lasted for several months. Shelf life is very variable. I’ve kept some out of the fridge and some in the fridge, and the ones stored at room temperature went bad much more quickly than the ones refrigerated. 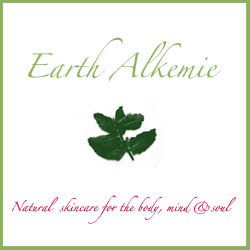 When using all natural cosmetics, it is always best to make small batches and use them up as quickly as possible. Here are a few crafting tips that will extend shelf life: wear gloves when you are making products, and use brand new or sanitized bottles. And sanitize your equipment too. 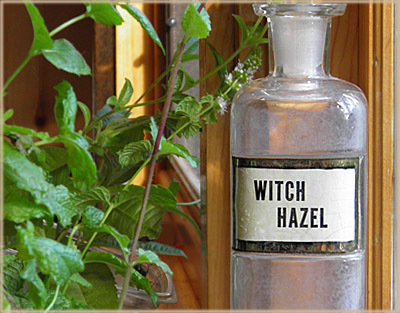 Package the herb infused witch hazel extract in bottles with misters (aka a spray bottle. A mister or spray bottle helps keep liquids fresh, since people won’t be directly touching the herb infused witch hazel extract when using it). You could also increase the shelf life by adding more alcohol (like grain alcohol, grape alcohol, or cane alcohol. Or a high proof vodka, if you can’t find pure alcohol). But adding more alcohol is not recommended for facial skin care, since large amounts of alcohol can be too drying for many people. However if you are making the herb infused witch hazel extract as a deodorant or body spray, you can definitely add more alcohol to the mix! The more alcohol you add, the longer it will be preserved. I highly recommend adding a more natural preservative or an eco cert preservative. I have had success in using the leucidal preservatives or geogard ultra (which is called many names but its ingredients are gluconolactone and sodium benzoate. Gluconolactone and sodium benzoate are used in many foods). In my experience, my products made with leucidal or geogard ultra have lasted 6 months to a year. For the longest shelf life (several months to a year or longer) you may want to use synthetic preservatives. There are a few relatively benign synthetic preservatives on the market such as Cosmocil CQ (which is polyaminopropyl biguanide. This preservative was originally designed for the contact lens industry, and is often found in baby wipes) or Optiphen Plus (which is made with phenoxyethanol, caprylyl glycol, and sorbic acid. There is some debate about this preservative but I personally think that it is one of the better synthetic preservatives out there. It is often found in many natural based lines). When using preservatives (natural, eco cert, or synthetic) be sure to follow the manufacturer’s guidelines and directions on usage, as the preservatives may not be compatible with certain ingredients or certain formulations. 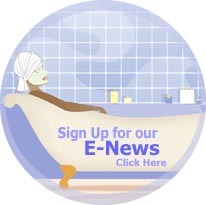 Read your vendor’s information on preservative safety and recommended concentrations. And test the preservative for compatibility and effectiveness in your products, before giving the products to others! I hope that helps, and happy crafting! I am sure your friends and family will love their gifts!